If your back pain is something that you suffer from on a regular basis, then consider seeing a back doctor for an examination. 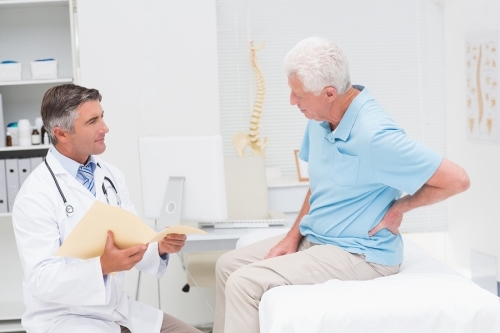 In some cases, a simple treatment plan that involves non-invasive methods can be enough to reduce or eliminate a patient’s back pain symptoms. Living in chronic pain can affect your quality of life or may be a symptom of another problem and should be addressed. Also, if you find that your back pain is impacting your day-to-day life, then this is a clear indicator that it’s time to see a doctor. If your favorite activities are no longer an option due to your back pain, or if your symptoms are preventing you from getting a good night’s rest, then consider calling a back doctor today to schedule an appointment.